From creating play spaces to child development, every key area of modern playwork is covered to help you support children's play in the 21st century. The authors' holistic approach, discussing both theory and practice, makes this the most comprehensive guide available for both students and playwork professionals. 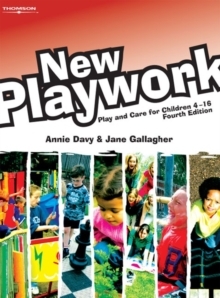 Packed with case studies, activities, illustrations and great new photographs, New Playwork contains a wealth of ideas for successful playwork and is an invaluable reference for this rapidly developing profession.